Students in the Applied Craft + Design program study modern and traditional craft alongside Portland’s top artists, designers, thinkers, and makers. 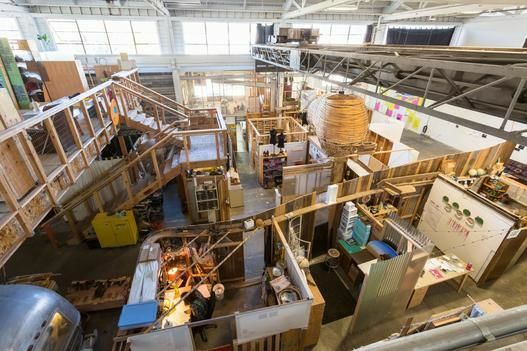 The program, jointly offered by Oregon College of Art and Craft and The Pacific Northwest College of Art, is located in a 13,000 square foot warehouse and generates designed objects, apparel, jewelry, sculpture, hand-made books, animations, and more! Come view current work from multifaceted, talented students, and experience the program’s creative laboratory.